Libby Burgess – Artistic Director – is a pianist dedicated to the fields of song and chamber music, working with some of the finest singers and instrumentalists of her generation. She enjoys a diverse recital schedule, ranging from the Wigmore Hall and St John’s Smith Square to the Aldeburgh, Buxton and Oxford Lieder Festivals; from music societies around the country to broadcasts on Radio 3. She is also in demand as a vocal coach, conductor and chorus-master, and until 2015 was Head of Keyboard at Eton College. Born in Sussex, Libby trained at Christ Church, Oxford, as the first ever female organ scholar there, and at the Royal Academy of Music, as a pianist. She is passionate about outreach and education work, and fell in love with Beverley at first sight! Roland Deller – Founder & Chairman – grew up in Beverley, where he was a Minster chorister under Alan Spedding, a student at Longcroft, and a viola player in the East Riding Youth Orchestra. He read music at the University of East Anglia, and has sung in the cathedral choirs of Wells, Norwich and St Alban’s. Roland worked for 17 years at the financial services firm, Ocorian, in Jersey and in London. His board practice included private wealth management, fund administration and securitisation. He has loved Beverley since childhood and relishes any opportunity to spend time in the town. 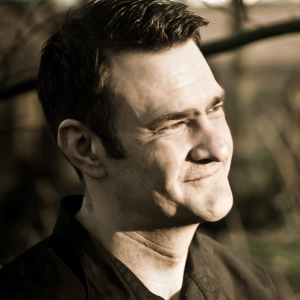 Mark Pybus – Senior Adviser – Mark was born in Beverley and was a chorister in the Minster choir. For twelve years he was Director of Music at Hymers College. He has also been the Director of Music at St Mary’s Church and conductor of the Beverley Chamber Choir. 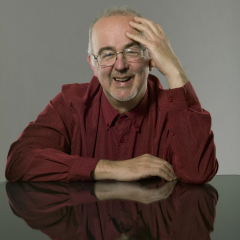 Martin Roscoe – Co-Artistic Director of Beverley Chamber Music Festival – During his illustrious career, Martin Roscoe has become one of the UK’s most loved and respected pianists. With his extensive repertoire, consummate musicianship and immediate connection with audiences, he is in great demand as a concerto soloist, chamber musician and recitalist. Martin appears regularly at Wigmore Hall and has long-standing associations with many of the UK’s leading orchestras such as the BBC Philharmonic and BBC Scottish Symphony. A prolific recording artist, Martin has a distinguished discography and is one of the most broadcast pianists on BBC radio. Claire Eadington – Trustee – Claire is a business manager for the Environment Agency, having previously led arts programmes. 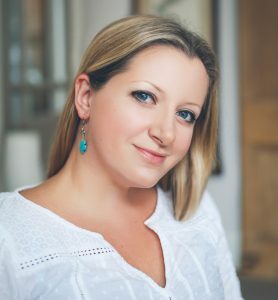 Claire is passionate about presence, productivity and wellbeing and her TEDx talk, Crossing The Bridge, has received over 1000 views on YouTube. She writes a weekly blog on self-development for Northern Power Women and was named on their 2019 Future List of rising Northern stars in business. Claire sings professionally and is also a triathlete and marathon runner. David Entwisle – Trustee – David Entwistle is a solicitor specialising in financial services law. He works for one of the major international banks. He was educated at Kings College, Cambridge, where he was a choral scholar. 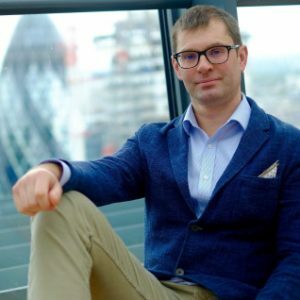 Richard Pinel – Trustee – Richard combines his role as Fellow and Director of Music at Jesus College, Cambridge with a freelance career as a concert organist. Prior to this he was, for nearly eight years, the Assistant Director of Music at St George’s Chapel, Windsor Castle and a visiting music tutor at Eton College. Richard is Director of The Edington Music Festival and was educated at Oxford University where he was the organ scholar of Magdalen College. Susan Williamson – Trustee – Sue had a career in Public Relations for Blue Circle Cement, lived in the Middle East and California, founded and ran a kindergarten in Hertfordshire, and established the private press she still runs. She has served as a governor at Longcroft School in Beverley and as a committee member and director of the Beverley Chamber Music Festival. Sue is an active amateur musician, playing the cello in the Hull Philharmonic Orchestra and until recently singing with the Beverley Chamber Choir. David Wilson – Trustee – David Wilson is a highly experienced funeral director working in Beverley, in which capacity he has worked with a great many families in the town. Before becoming a funeral director, David was Head Virger at Beverley Minster and at St George’s Chapel Windsor Castle. David is a keen bell-ringer and a great lover of opera.